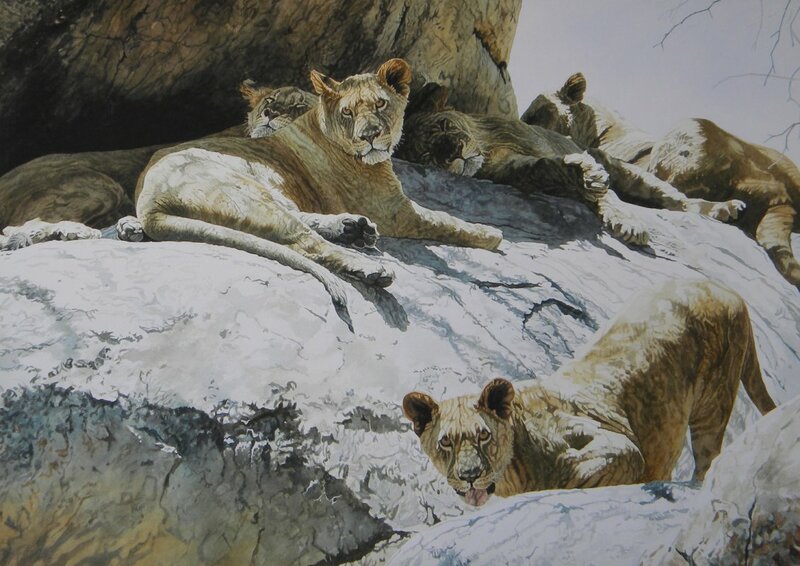 I came across these sub-adult lions lolling in the shade on some rocks in the Lion Park in Zimbabwe. Situated just outside Harare, one doesn't need to travel far to get the feeling of being "in the bush" in order to see game. It was mid-winter, and in spite of the time of year, the sun was hot and the flies were out. This meant it was time to rest.